Mostly visited by short-term visitors en route to Disneyland, Anaheim is a Californian city of almost 350,000 that brims with property of all types. The city also attracts business types with its national conventions held at the huge Anaheim Convention Center - the biggest of its kind on the west coast. However, its year-round mild climate and lively entertainment have seen increasing numbers of expats, many of whom work in the tourism industry, staying for longer than the duration of a convention, or even permanently. The exclusive Anaheim Hills is home to celebrities and therefore is the place to look for luxury properties, while downtown Anaheim has a historical character and nice apartment options. Anaheim Resort is home to dozens of hotels and Disneyland Resort, and is an ideal spot for holiday makers and convention attendees to seek serviced apartments. The recent slump in the Californian housing market, aided by tax credit measures for first-time buyers, has shown signs of recovery. Of note, many home owners have experienced a downturn in the value of their property, making investing in property here still a bit of a gamble. Yet, this buyer's market has produced some great deals. Those looking to stay in Anaheim for one month or longer may choose to rent a serviced apartment. These apartments are typically well facilitated with leisure and business amenities and don't require a large deposit or the signing of a lease. Many Anaheim serviced apartments are housed within gated communities that offer shared swimming pools. These units are typically equivalent in price to a similar hotel, yet significant discounts can be had for long stays. Anaheim doesn't see large numbers of non-residents investing in property, with first-time visitors advised to rent here for a minimum of six months before deciding on a more permanent property commitment. Those that do decide to invest should engage the assistance of a property attorney and an experience realtor to guide them through the process. There are no limitations on the investment in property here by foreigners, though a deposit of up to 25 percent of the property value must be paid up front upon signing a deal. 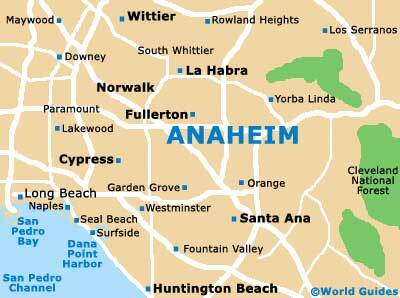 Using an experienced Anaheim estate agent is strongly recommended when purchasing property here. However, many people chose to rent privately without the help of a realtor. If you want to avoid the pitfalls of the local market, engaging the help of both a property attorney and a real estate agent is essential. With a huge portfolio of over 100,000 properties, First Team pledges quick sales and staff well-trained in negotiating practices. A qualified Californian realtor who can help you find your ideal home and steer you through the buying or renting process. 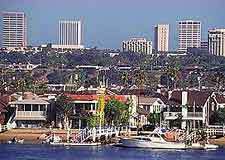 Offering expert buying and selling advice on properties in Anaheim and the surrounding area.